Sleep is a restorative need for all creatures, particularly humans, but it requires not only specific conditions, but also enough time for the full beneficial effects to occur. Body and brain must work together to make "good sleep" a reality. When sleep is disrupted for any reason, whether by stress and anxiety, by chronic pain or by medications used to treat pain and illness, serious health consequences can result. Breathing, although normally thought of as an involuntary reflex, also influences the quality of rest. When normal breathing is interrupted during sleep, not only is sleep impaired; that lack of rest leads to both mental and physical breakdown. Breathing problems characterized by a partial collapse of upper airway tissues are known as Obstructive Sleep Apnea (OSA). When severe, the condition can increase the risk of sudden death threefold, and it contributes to additional medical problems that may include heart disease, stroke, depression, loss of memory and focus, or overwhelming fatigue. It is also associated with overweight and obesity, diabetes, dementia, and concentration disorders. Snoring, caused by the turbulent passage of air through narrowed airways, may be associated with OSA, but not all snorers suffer from sleep apnea. Central Sleep Apnea (CSA) involves a sort of "forgetfulness" that interrupts messages between the brain and the body's breathing mechanism. It is much less common than OSA, but it sometimes results in non-breath episodes than last as long as 20 seconds. It can afflict infants and children as well as adults. Snoring is not normally associated with CSA. And, although this type of apnea can signal other medical conditions, it sometimes occurs on its own, and is extremely serious. When the two types of apnea are combined -- part airway collapse and part brain-messaging deficiency -- the condition is known as Mixed Sleep Apnea. It is well documented that chronic pain is one of the most common causes of insomnia and disturbed sleep patterns. It is also increasingly recognized that prolonged drug treatment for pain can lead to sleep deprivation, impaired sleep patterns and chronic fatigue, exactly the opposite of the intended effect. 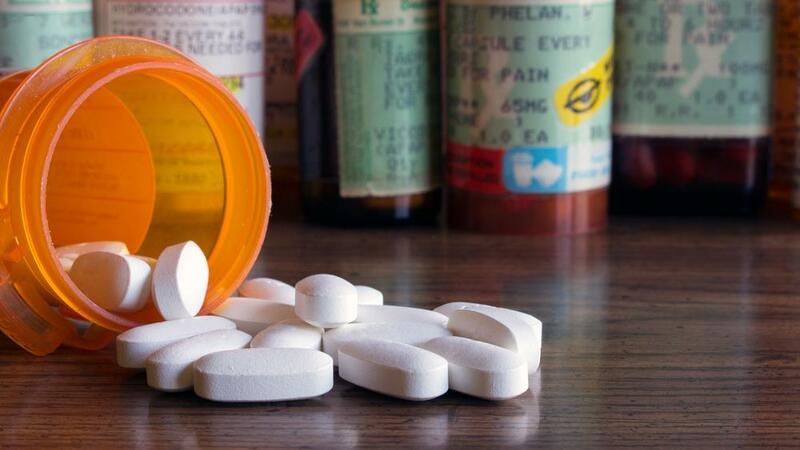 Although many factors influence a person's inability to get a good night's sleep, commonly-prescribed prescription drugs are among the biggest offenders. Opioid medications have been proven to be a primary cause of Central Sleep Apnea, the malfunction of message transmission between the brain and the breathing mechanism. In fact, the staggering statistic is that up to 75 percent of patients who regularly take opioids for pain relief may also require treatment modalities to regulate their breathing during sleep. If the normal in and out exchange of oxygen and waste gas (CO2) from the lungs is hampered, an individual may gasp, snort, or choke after a period of non-breathing. It is one of the most recognizable symptoms of sleep apnea and, although it can go unnoticed for a time, such episodes are often enough to wake a person out of sound sleep. They are also immensely disturbing for a partner. 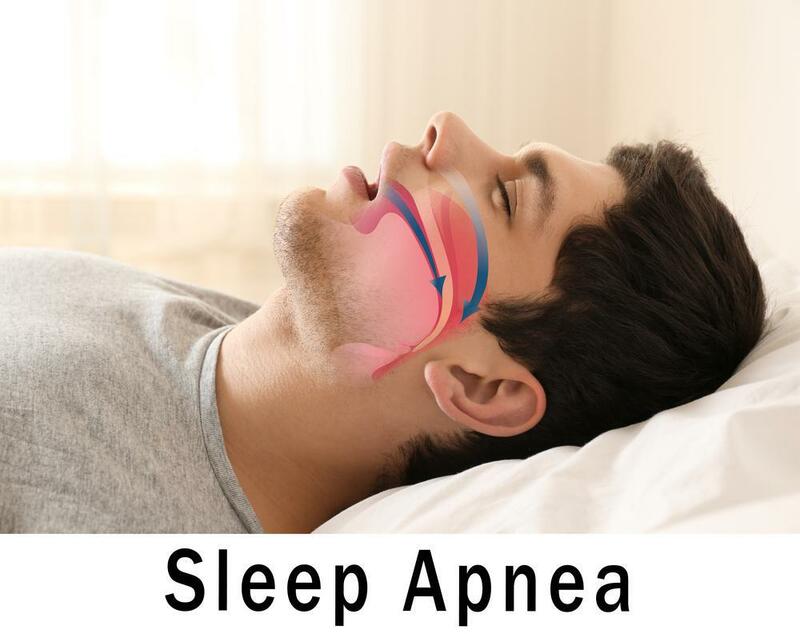 The term "apnea" literally means "without breath," and the accompanying noise is the body's attempt to force air through a constricted passageway. Sufferers sometimes report waking with a sore throat, headache or dry mouth, tightness in the chest, or a feeling of general malaise in the morning. Other symptoms include waking often during the night either to go to the bathroom or because of general discomfort, including leg pain or cramps. While awake, memory lapses are common, as are frequent frequent mood swings. Almost all sleep apnea sufferers report feeling tired during the day; a hallmark of the condition is never feeling totally refreshed following sleep. The effects of untreated sleep apnea are many and varied, ranging from higher than average risk for accidents to aggravation of existing physical complaints and development of other chronic complications. Sometimes sleep apnea goes untreated for long periods of time, but use of opioids for pain control should signal a need for further assessment. Discuss any concerns with medical providers even before you not symptoms. Never ignore the signs. Treatment is available, and can be instrumental in preventing further airway damage and the risk of more severe medical problems. 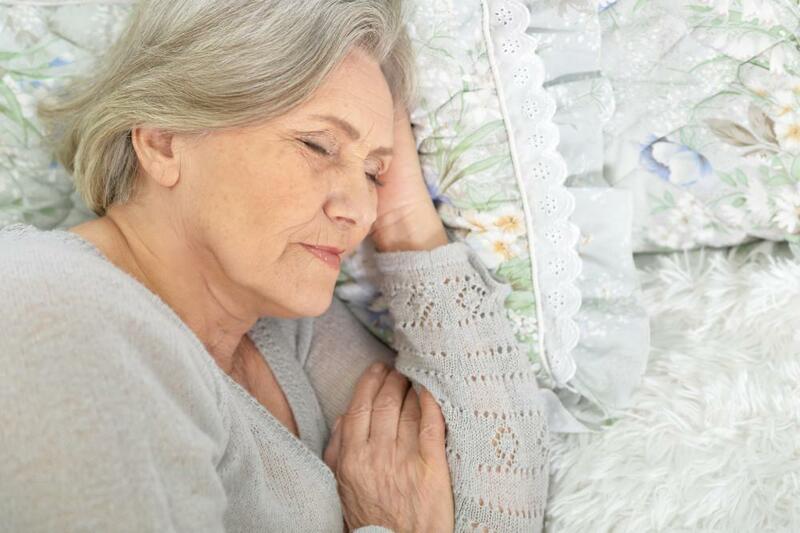 Because medications commonly alter sleep patterns, particularly REM and Stage 3 "Deep Sleep," it is vital to restore normal, beneficial sleep cycles that allow both body and brain to function properly. Generally the first step in diagnosing sleep apnea, following a complete physical exam, is an overnight evaluation in a sleep lab, where a polysomnogram is performed. The study monitors and records such things as brain activity, eye movement, heart rate, air flow and breath patterns, blood oxygen and muscle activity. Followup daytime testing is sometimes performed and may measure such things as concentration or how fast a person tends to fall asleep. A conservative treatment regimen for both types of sleep apnea might include a recommendation to lose weight, avoid alcohol and sleeping pills, alter normal sleep position, add or subtract pillows, and use sprays or breathing strips to eliminate nasal congestion. Continuous Positive Airway Pressure (CPAP) is the preferred initial treatment for anyone with OSA, and sometimes also proves beneficial for patients with CSA. It involves use of a mask worn over the nose and/or mouth that forces just enough air continuously through the airway to prevent involuntary collapse during sleep. BIPAP (Bi-level Positive AirWay Pressure). Think of the BIPAP as a sort of "second generation" CPAP, if you will. They have dual pressure settings, one for breathing in, and the second for breathing out. The modification makes it more comfortable for users who have difficulty breathing out against the constant air flow of the CPAP. Some models also have additional features that will compensate for prolonged intervals between breaths by temporarily increasing the air pressure to force a breath. This type of therapy is recommended for apnea patients with either low oxygen levels or high pressure settings, and is often prescribed for patients with congestive heart failure, or those with neuromuscular and lung disorders. ASV (Adaptive Support Ventilation). This is a technique sometimes used in treatment of CSA, especially when it exists in conjunction with abnormal breathing patterns like Cheyne-Stokes Syndrome. It can also occur as a breathing pattern in affected individuals when they are awake, and is characterized by deeper and faster breathing followed by a prolonged period when no breath is taken. The pattern repeats over the course of 30 seconds to about two minutes in duration. The ASV is sometimes recommended in cases that have not responded well to either CPAP or BIPAP therapy. AVAPS (Average Volume Assured Pressure Support). Another form of non-invasive ventilation, AVAPS is often used for treatment of chronic obstructive pulmonary disease and hypercapnic encephalopothy, as well as for adults and older children who may require changes in air pressure settings over an extended course of treatment. The AVAPS machine allows monitoring and adjustments based on individual treatment needs. Treatment of all forms of sleep apnea has made great strides in recent years, and the science continues to develop surrounding causes, drug interaction and treatment. For answers to your questions and concerns, do not hesitate to consult with your health care provider and sleep treatment specialist. 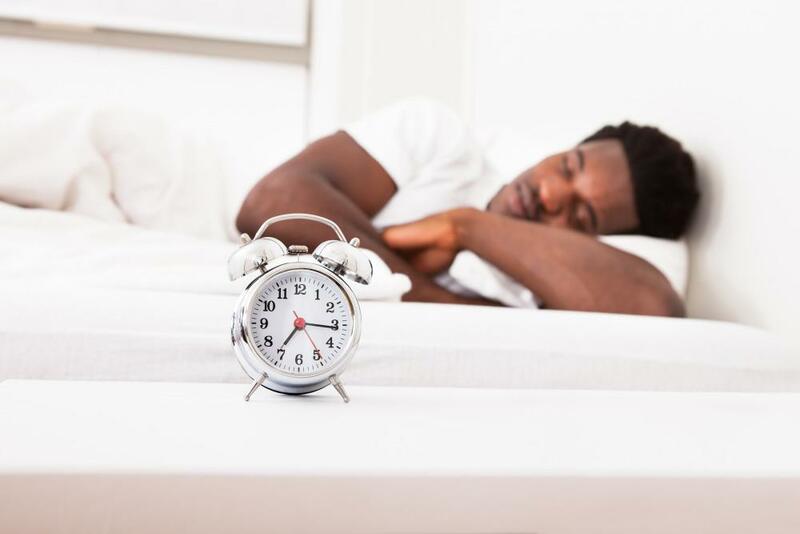 If you suspect you suffer from either type of sleep apnea, whether or not it is related to opioid pain medication, other prescribed medications, or physical condition, why not schedule a consultation with a sleep treatment center? Your health and future well-being are at stake. Contact Sound Sleep Health in Seattle today at (425) 279-7151 for an appointment today .